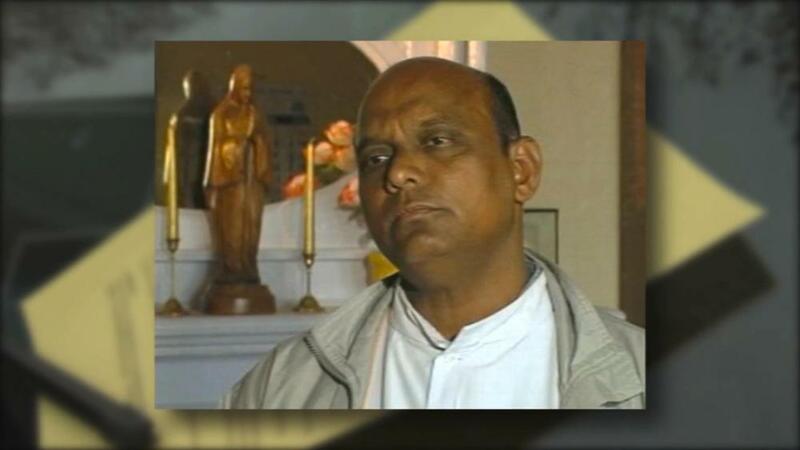 Fargo, ND (WDAY TV) - WDAY 6 News has learned a Federal Lawsuit will be filed in Minnesota against a Catholic Bishop in India, in connection with alleged sexual abuse against a priest while he served in Northwestern Minnesota a decade ago. News of the federal lawsuit is coming from the office of Twin Cities attorney, Jeff Anderson, who has represented several victims of clergy abuse. Monday, in Fargo, the woman who says Father Joseph Jeyapaul abused her at her home church in Northwestern Minnesota spoke out about the decision in India to return Jeyapaul to ministry there. This afternoon, outside the Fargo Diocese offices, women from the group, Snap,an abuse survivors group, tried to get the word out about Father Jeyapaul and his planned return to parish work in India. Megan Peterson remembers the priest well, from her home church Northwest Minnesota, tomorrow she will be part of a Federal lawsuit against him. “I was raped by Father Joseph Jeyapaul in 2004 and 2005 when i was 14 and 15 years old. I filed a civil suit, helped with criminal charges, the UN twice and Intl criminal courts, and I will keep pushing till children are safe and they are not safe yet,” said Megan Peterson, Survivor of Clergy Abuse. The group, SNAP, came to Fargo hoping Bishop Folda would address parishioners here updating them on the status of Father Jeyapaul but the diocese says the priest never served this diocese, SNAP says that is not good enough. “Bishops feel free to speak out on the death penalty, abortion, it does not have to happen in their own back yard, for them to speak out what is morally right or morally wrong. This is about a convicted child molester allowed access to children and that is morally wrong,” said Barbara Dorris, a survivor of clergy abuse. “That was crushing, I cannot explain. I felt re-victimized all over again,” said Peterson. While the Bishop has not come out and addressed the Father Jayapaul issue specifically, the Fargo Diocese makes a point of alerting members of the diocese on help that is available to those suffering abuse. Over the weekend, the members of SNAP spent time in Northwestern Minnesota where Father Jayapual served. We’ll have more on Tuesday when Megan and her Federal Lawsuit is filed against the Diocese in India.